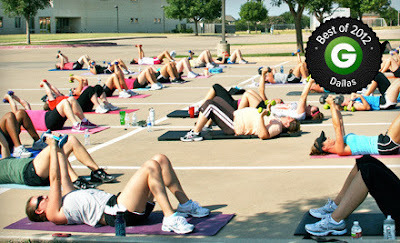 Join the fastest growing womens' only bootcamp in the state of Texas! Texas Fit Chicks will get you to your goals. Grab a GROUPON deal of the day and get 4 weeks of training for just $49! 4 Weeks of Boot Camp with your nationally certified female personal trainer - affordable accountability! Don't think you have to 'get in Alex shape' before you start...we always show the exercises 3 ways, beginner, intermediate and advanced.